Did you know that calorie counting was invented back in 1922 when an American Nutritionist Dr Lulu Hunt Peters published her book Diet and Health: With key to calories! can you believe how outdated that system of weight management is?? Yet look at it today, calorie-counting is ubiquitous. The food in our shopping baskets have carried information about their nutritional value since the mid-1990s, while a voluntary labelling pledge by fast-food outlets in 2011 means that we can determine the content of our takeaways and lunchtime sandwiches, from Pizza Hut to Pret. Smartphone apps such as MyFitnessPal make tracking calories as simple as scanning a barcode. And yet, as a nation, we’re fatter than ever. Childhood obesity is a national crisis. According to the most recent data from the World Health Organisation, more than a quarter of UK adults are clinically obese, with almost two-thirds officially classifiable as “overweight”. And last week, health experts warned that British millennials – that supposedly health-conscious breed born between the early 1980s and mid-90s – are on course to be the most overweight generation since records began. So are we just bad at maths? 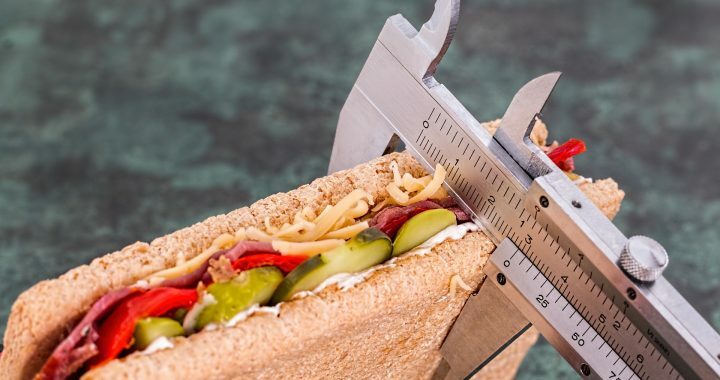 Personally, this is coming from someone who back in those days found that counting calories meant I could eat whatever type of foods I liked as long as I kept to the level of calories for losing weight – so then it was around 1000 calories per day. Did that work? NO – I had to learn about food values – i.e. the nutritional value of foods rather than the numbers. You see, foods have classifications such as Starches and Proteins as well as slow release carbs and fast release carbs and so on and so on… so the method that is favourable is to eat fresh foods, with no labels, from a list of great and superfoods, exercise and stay lean. Is it that easy? NO – but once you have learned that is it you just keep on doing it. While there’s nothing wrong with the maths behind what nutritionists call the “calories in/calories out” model, it puts the onus on the individual wanting to keep weight off to keep their calories balanced; to understand that if you eat 500 calories less than you burn every day, after a week, you will have lost a pound of fat; and that a breakfast muffin packing more than 600 calories will require, on average, a full hour running on a treadmill to be burned off. Part of the problem is that calorie-counting is far from the exact science it is often assumed to be. The commonly-used Atwater system, named after the 19th-century American chemist who devised it, uses the number of calories in four key macronutrients – carbs, fats, protein and alcohol – to calculate the overall content of every foodstuff. But the calorie contents we see today on food packaging are mere averages, so it’s easy for consumers to get things wrong. Short of carrying a teaspoon around at all times, it’s easy to include an extra 100 calories onto your lunch in a single glug of olive oil or tablespoon of peanut butter. But there is also evidence that the type of food you eat affects that amount you’ll absorb: we absorb fewer calories from nuts and seeds than the Atwater system would suggest, for instance, but more from fibre-rich foods including kale, tomatoes and black beans. Cooking food also changes the amount of calories you’re likely to absorb from it: raw, natural foods typically take more energy to digest, making them effectively less calorific than heavily processed ready meals that contain the same nutrients. “Calories out” can be just as imprecise as a metric: genetics, hormones and your weight history can all affect how much you burn during activity, making the guesstimates of your effort given by most exercise equipment almost woefully imprecise. And then there’s the effect of insulin. Take a pair of breakfast-toast toppings as an example: strawberry jam and mashed avocado. By comparison, the millennial’s toast-topper of choice, mashed avocado, is high in good-quality nutrients as well as healthy fats, and it would help keep blood sugar levels low. Though avocados are often held up as calorific – a single 100g serving contains 160 calories, while the same serving size of banana has fewer than 100 – “it will help prevent hunger and allow the body to switch into fat-burning mode”, says Roberts. So if it’s not the avocado brunches turning millennials into the fattest generation Britain has ever seen, what are they doing wrong? It’s tough to say: certainly, they’ve embraced meal-delivery services such as JustEat and Deliveroo, which bring often-unhealthy restaurant eating home and make upsizing a constant temptation – but they’ve also taken up home cooking via meal-packaging services including Abel & Cole and the Mindful Chef. An increasingly sedentary lifestyle – the “calories-out” bit – may also be a factor, with a US study last year finding that one in two millennials were as inactive as 60-year-olds and everything from Netflix to online shopping subtly leeching the activity out of everyday life. But science and society also play a role: however many calorie counts they display, food manufacturers are in an arms race to produce ever more binge-worthy, ‘hyperpalatable’ foodstuffs – the kind that triggers our hunger hormones without ever making us really full. In this sense, they’re just victims of progress: however carefully you’re counting, it’s tough to resist the allure of a packet of crisps custom-made to drive you crazy. So is calorie counting still useful, I think so, to a level. However, as I wrote earlier, don’t eat anything with a label on it, eat fresh, in season food groups and follow the 80/20 rule unless you are training for something specific. Type II Diabetes is at epidemic levels and has been for more than 2 decades. This type of Diabetes used to be named ‘Late Onset’ due to the fact that people got this later in life for various reasons, often due to obesity but also due to poor diet, other health issues, prescribed medicines and the inability of the body to utilize glucose. As a nutritionist I know and have worked with people to reverse their diagnosis successfully – for me – it is down to diet and when a strict regime is put in place and followed we can get the body functioning normally. Most people would rather take the easy route of prescribed medicines which will eventually lead to having to self inject daily to control the glucose levels, what they don’t realise is they are working their way towards ill health, poor eyesight including blindness, loss of limbs – yes! the glucose floating about in the system damages the nerve endings causing the extremeties such as toes and even a whole foot having to be amputated. It effects every part of your life and you then become a slave to your disabilities or someone else has to look after you! What would you rather do?? live a live of misery or shake up your eating regime?? Read this article and check out the map to see just what a global epidemic this is! The “Diabesity” epidemic (obesity and type 2 diabetes) is likely to be the biggest epidemic in human history. Diabetes has been seriously underrated as a global public health issue and the world can no longer ignore “the rise and rise” of type 2 diabetes. Currently, most of the national and global diabetes estimates come from the IDF Atlas. These estimates have significant limitations from a public health perspective. It is apparent that the IDF have consistently underestimated the global burden. More reliable estimates of the future burden of diabetes are urgently needed. After 25 years experience as a qualified Nutritionist and Naturopath I want to shed some light on the recent World Health Organization’s classifications of processed and red meat. WHO have now classified processed meat is the same category as Asbestos and Tobacco smoking which is GROUP 1 carcinogenic to humans. What this means is that the link between processed meat and cancer is as proven as the link between Tobacco smoking and cancer. The WHO report states that 50g of processed meat a day, less than two slices of bacon, increases the chance of developing colorectal cancer by 18%. This is scary stuff indeed and it does mean that we all need to, at the very least, cut down on this food group.